John Lennon was arguably the most celebrated – and certainly the most intellectual and polished – songwriter in rock history. The English singer-songwriter, musician and activist rose to unprecedented worldwide popularity as founder member and leader of the rock band, the Beatles. As a solo performer in his later life, he wrote brutally honest and melodic confessional songs. Lennon’s impact on music and culture in the 1960s was massive and he became a social and political activist and an outspoken advocate of the peace movement in the early 1970s. He was murdered at age 40 by a crazed fan. Born in Liverpool, England in October 1940, Lennon’s father was a merchant seaman who was often away from home when he was growing up. He began to live with his maternal aunt and uncle, Mimi and George Smith, at the age of 5. Lennon’s biological mother, Julia, visited him on a regular basis and bought him his first acoustic guitar in 1956. He attended Dovedale Primary School and later moved to Quarry Bank High School. 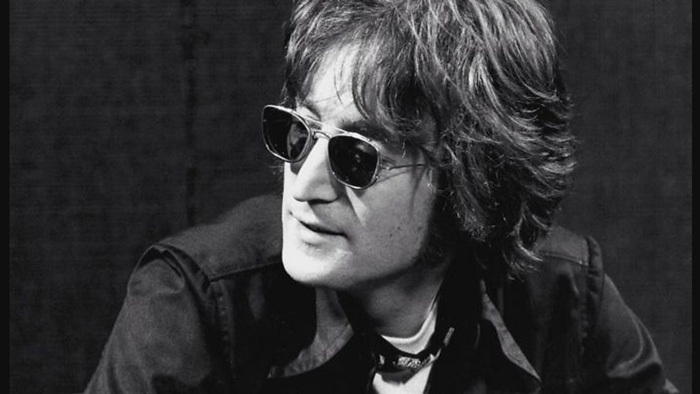 Lennon was 17 years old when his mother was struck by an automobile and died. After failing his GCE O-level examinations, he was accepted into the Liverpool College of Art, where failed an annual exam. Lennon was expelled from the college before the final year for disciplinary reasons. John Lennon formed the skiffle group, the Quarrymen, in 1957. Paul McCartney, George Harrison and Ringo Starr joined later and the band eventually evolved into the Beatles in 1960. Between 1962 and 1969, wrote 180 songs together and their songwriting partnership is one of the most important musical collaborations in history. The band’s early work such as “I Want To Hold Your Hand” and “A Hard Day’s Night” revived American rock ‘n’ roll and rhythm-and-blues of the 1950s. The Beatles later started experimenting with non-Western music, contemporary classical music, and San Francisco psychedelic rock. A few examples of this musical direction include Rubber Soul (1965) and Sgt. Pepper’s Lonely Hearts Club Band (1967). The Beatles became inactive in 1966, and their last few albums, The White Album (1968) and Abbey Road (1969) tried out sophisticated and advanced studio recording techniques. They also made several successful motion pictures. The band were unquestionably the most important rock band of the 1960s. Their tremendous influence, unprecedented popularity and stylistic derivation from American, particularly black styles, overturned popular music across the globe. After the band’s breakup in 1970 Lennon pursued a solo career, mainly in collaboration with his second wife, Yoko Ono. While his highly acclaimed solo albums received uneven commercial success, he remained the most celebrated cultural figure from the rock era. His solo work included John Lennon/Plastic Ono Band (1970), Imagine (1971), and Double Fantasy (1980). Lennon’s brutal murder by Mark David Chapman in 1980 inspired an international outcry. His body was cremated at Ferncliff Cemetery in Hartsdale, New York. John Lennon’s work with the Beatles and his solo career earned him numerous accolades and accolades in his lifetime, and has been posthumously awarded many more. A few of them include 10 Grammy Awards, 3 Brit Awards, and 15 Ivor Novello Awards. He was posthumously inducted into the Songwriters Hall of Fame in 1987, and the Rock and Roll Hall of Fame in 1994. John Lennon was a very popular personality who had always been the subject of extensive media attention. His political activism almost cost him deportation during Nixon’s administration. Lennon was married twice. His first wife was Cynthia Powell (1962-1968) and his second wife was Yoko Ono (1969-1980). Lennon had two children, both boys, named Sean and Julian.